Successfully Added Feiyu Vimble 2 Smartphone Gimbal - Object Tracking, Dynamic Time-Lapse, Taking Selfies and Live Show to your Shopping Cart. Extension from 11cm to 29cm make it easy to taking selfies and taking group photo. It gives smart phone wider frame and the beautiful scenery can be framed in easily. Connected to the Vicool APP, fingers slightly scratch the screen to lock the focus, and it can achieve face tracking and intelligent following with deep simulation to ensure the focus not to be out of the frame. Tilt to the right 45 degrees for a few seconds the gimble will change shooting direction from Horizontal to vertical. 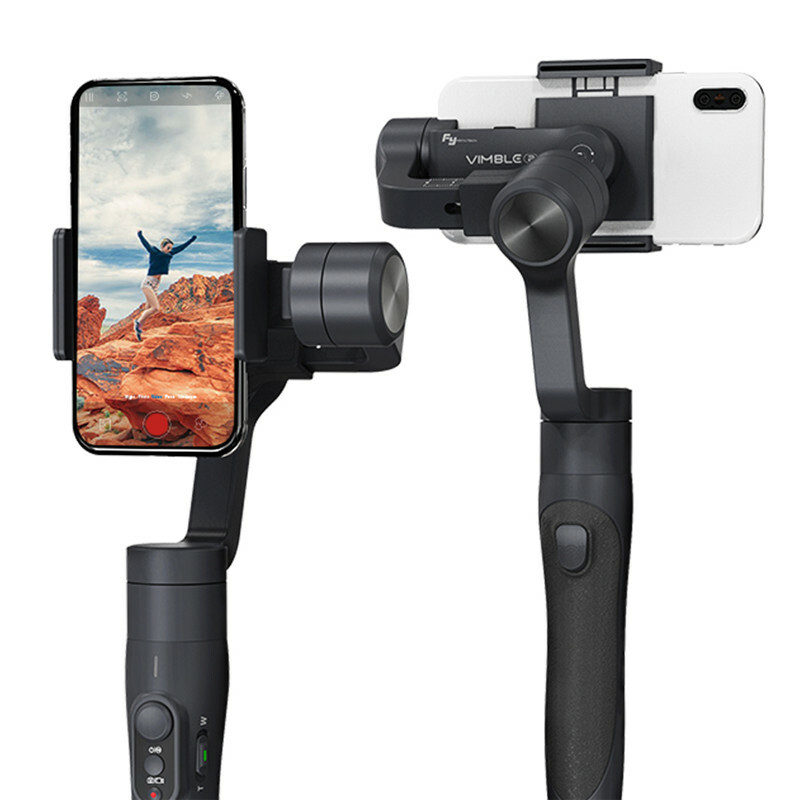 Connect the gimbal with Vicool App, and continuously click the function button for three times, the smart phone camera lens will shift from back and front quickly. Feiyu Vimble 2 is a new smartphone gimbal with some interesting new features. For one it comes with an integrated selfie stick,mostly typical gimbals are a bit short to be used as selfie stick, compared to its predecessor Vimble C the new model experience two great updates: you can now switch between portrait and landscape mode manually by rotating the clamp. That’s great for facebook lice as you don’t need to switch electronically on every power up. And it got a micro USB port at the top are to power your smartphone. Feiyu Vimble 2 is compatible with a huge variety of smartphones including all Apple iPhones, Huawei P9 / P9plus, Xiaomi 5 series or Samsung Note5 / S7. The smartphone has to be 57-84mm in width and below 210g. To level the smartphone you can slide the crossarm. When used in portrait mode heavier phones should be placed a bit higher for better levelling..